**Expires midnight 4/30/19 and may not be combined with any other offers or special pricing. Need help selecting an AED? Microfoam Adhesive Strip for use with the Universal "Y" Sensor (3043) and the Infant Wrap Sensor (3025). 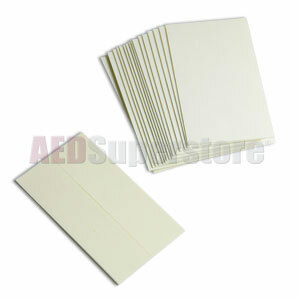 Why Buy From AED Superstore? ©2002- AED Superstore. All Rights Reserved.